Honda GX heavy duty engines. 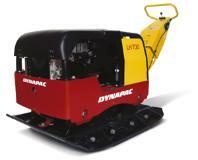 Hatz diesel powered tamps are available. LG500 11 hp Hatz DIESEL, manual start. 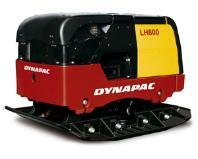 Dynapac LH700 forward-reverse plate tamp. 72 ft per minute speed. Electric start. 45.3"L x 26'W x 31.3" H. 53 hz, 98 ft per minute speed. 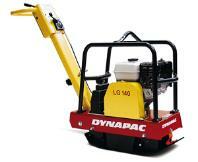 Click here to see Dynapac rammers "jumping jacks"